Steve has been practicing law for over 25 years primarily focusing on Family Law, Real Estate, Bankruptcy and Litigation. 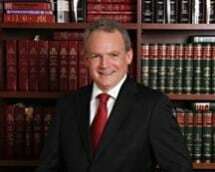 He is Certified by the Supreme Court of New Jersey as a Matrimonial Trial Attorney and a Certified Family Law Mediator. In addition, Steve has served on the Matrimonial Early Settlement Panel for over 20 years and has been appointed by judges to serve has guardian ad litem for children in difficult cases. In addition to his extensive family law experience, Steve has served as the Assistant Director of Law for the Township of Bloomfield for the past 17 years and continues to serve in that capacity. In his role as Assistant Director of Law Steve has handled complex litigation including Tort Claims Act matters, labor and employment matters and zoning disputes. Steve also has significant experience handling the purchase and sale of real estate and small businesses. He has been representing Bankruptcy clients in Chapter 7 and Chapter 13 bankruptcies for 25 years.